The 4th Of July is almost here already! I don’t know about you, but my little ones love to do activities based around the upcoming holidays. It doesn’t matter if it’s something simple, like tracing or coloring, or an extravagant project that takes awhile to put together. I have made some coloring pages for my kids and thought your kids might enjoy them too! 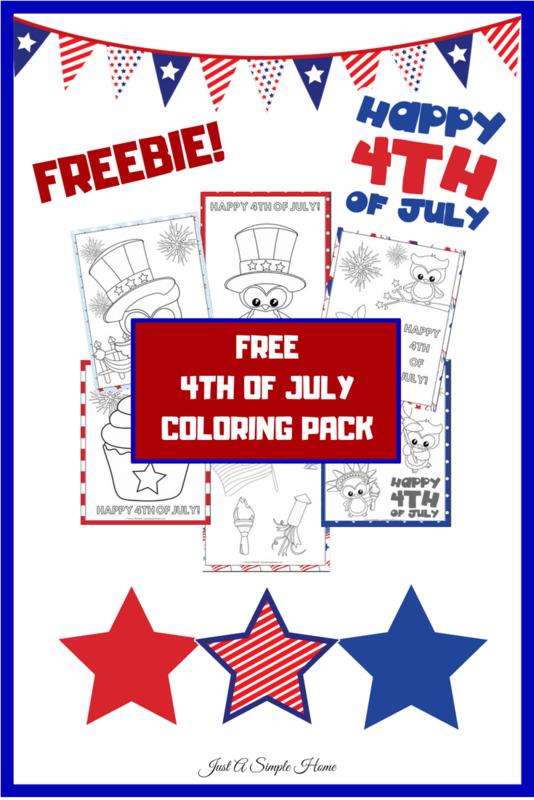 This 4TH OF JULY Coloring pack has 6 fun sheets for your little ones to color! DOWNLOAD YOUR COLORING PACK HERE!